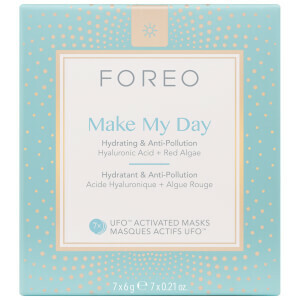 Treat your skin to the FOREO Make My Day UFO-Activated Mask; a Korean-inspired treatment to be used in conjunction with the brand's UFO device for maximum absorption of nutrients and active ingredients. 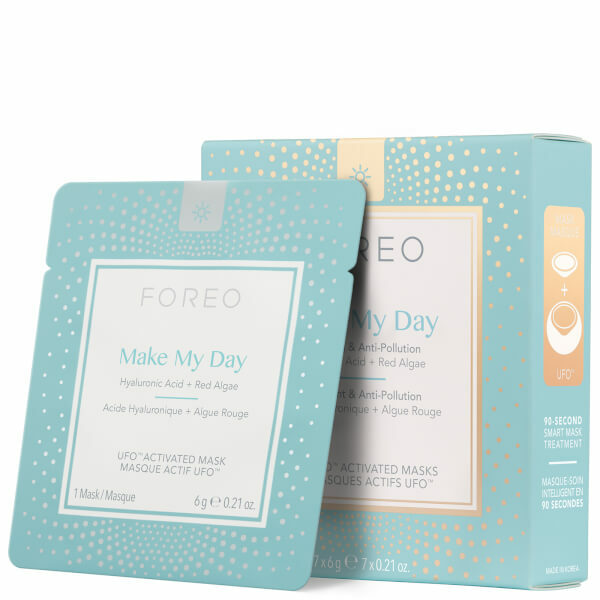 Infused with ultra-hydrating Hyaluronic Acid and antioxidant-rich Red Algae, the soft microfibre mask defends against pollution and environmental aggressors, whilst promoting a radiant, youthful and glowing complexion that feels moisturised and rejuvenated. No parabens, phenoxyethanol, alcohols or Disodium EDTA. 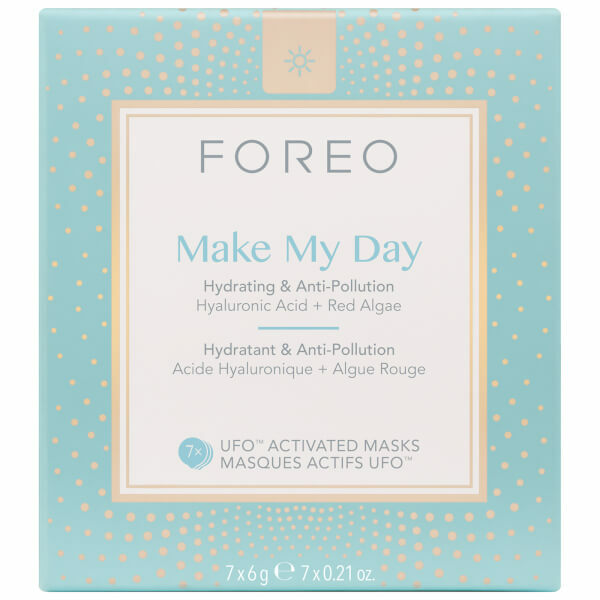 Please Note: The mask needs to be paired with the FOREO UFO device (sold separately). 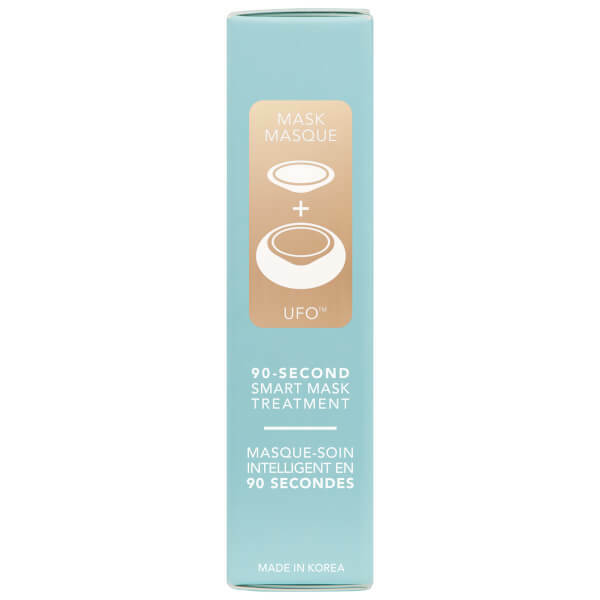 To be paired with the FOREO UFO device (sold separately). Aqua (Water), Methylpropanediol, Glycerin, 1,2-Hexanediol, Panthenol, Hydroxyacetophenone, Betaine, Brassica Oleracea Italica (Broccoli) Sprout Extract, Gelidium Cartilagineum Extract, Hydroxyethyl Acrlate/Sodium Acryloyldimethleaurate Copolymer, Carbomer, Arginine, Hydroxyethyl Cellulose, Sodium Hyaluronate, Sodium Acetylated Hyaluronate, Hydrolyzed Hyaluronic Acid, Parfum (Fragrance).